Richard Campbell, 83 years of age, became Out Gift to God on Thursday January 31, 2019. Richard was God’s Gift to Us on March 26, 1935 in Nemacolin, Pennsylvania, the son of the late Victor O. and Marie (McBeth) Campbell. A resident of the Mantua area since 1954, Richard had been employed at Ford Motor Company, Walton Hills Stamping Plant as an industrial mechanic, retiring after 38 years of service. He also had been employed at Crestwood Schools as both a bus driver, and school bus mechanic from where he also retired after 23 years of service. Richard truly enjoyed being on his John Deere tractor tending to his yard and maintaining the beautiful garden at the home he and Ora shared in Mantua. He also will be remembered not only for his ability to work on cars, but for always being available to help others with any automotive problems they might have. Richard was a 50 year member and Past Master of Mantua Masonic Lodge No. 533 F. & A.M.; member and Past Patron of Mystic Chapter No. 32 O.E.S. ; member of Silver Creek Royal Arch of Garrettsville; member of Allenby Commandery in Twinsburg; Knight York Cross of Honour, and active with numerous Masonic functions over the years often traveling to attend both Masonic and O.E.S. events with Ora. He presently was a member of Unity Lodge No. 12 F. & A. M. in Ravenna. He also was a member of the Aurora Mennonite Church. On March 4, 1953, he married his beloved wife Ora A. Campbell whose passing took place on July 11, 2018. He is survived by his devoted children Richard A. (Jean) Campbell of North Lawrence, Ohio, Robert W. (Connie) Campbell of Las Vegas, Nevada and Vickie (David) Cannon of Kentwood Michigan; his dear sister Naomi Markiewich of Carmichaels, Pennsylvania; and his 6 loving grandchildren and 13 great-grandchildren. He was preceded in death by his brothers Charles and Eugene Campbell, and Sisters Fay Campbell, Thelma Halterman and Loretta Grimm. Calling hours will be Wednesday from 6: 00 P.M.- 8:00 P.M. at the Green Family Funeral Home & Crematory Service, 4668 Pioneer Trail at the corner of St. Rt. 44, Mantua, Ohio 44255, where Unity Lodge No. 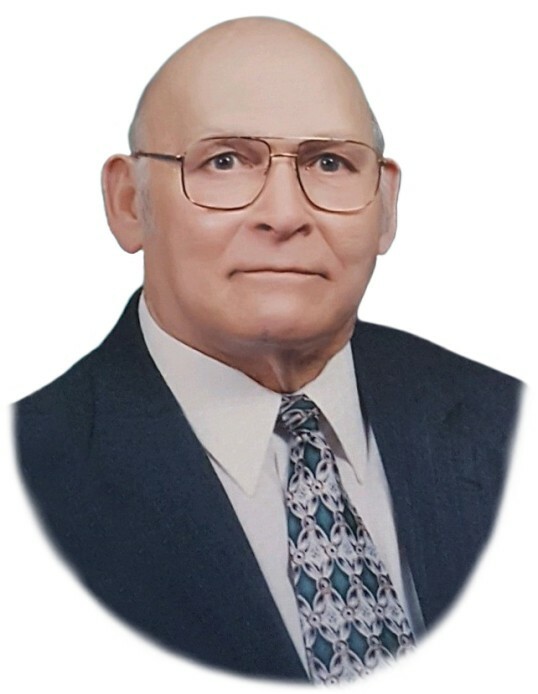 12 will conduct Masonic services at 5:45 P.M. Funeral services will be Thursday, February 7, 2019 at the funeral home at 11:00 A.M. with Pastor David Martinez officiating. Final resting place will follow at Westlawn Cemetery, Mantua Township, Ohio.